Kruseler. MEDIEVAL MARKET - SPES. 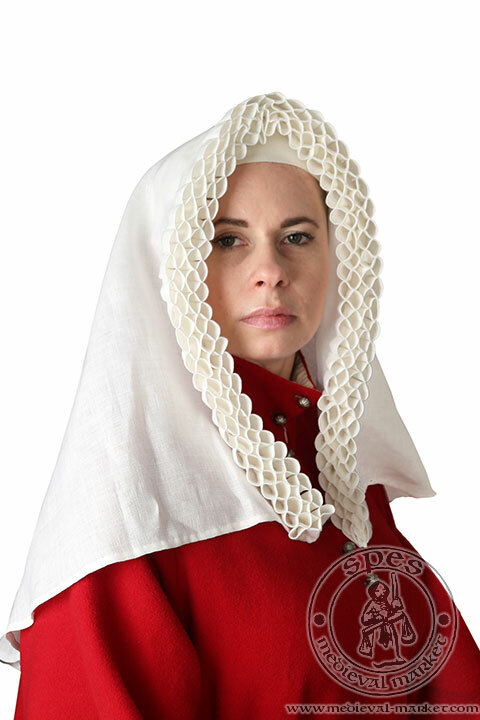 Kruseler is a Medieval headwear for women, a court headscarf used from the end of 13th century till the end of 15th century. Kruseler gained it's greatest popularity in 14th century. 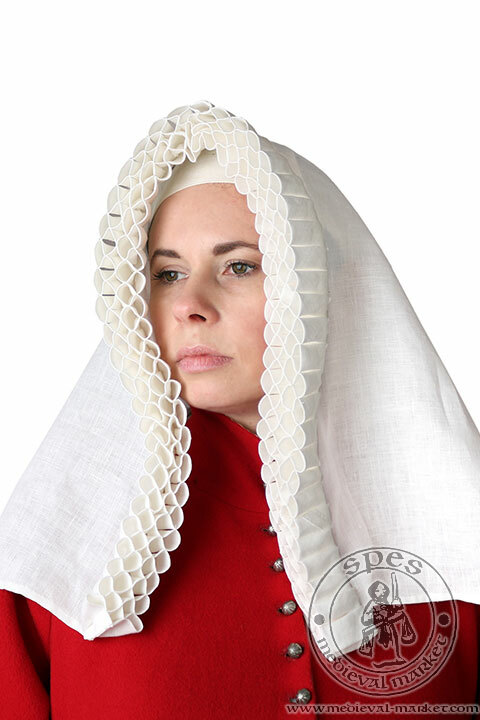 Edging the headscarves with frill in medieval Europe was extremely fashionable. The name "kruseler" derived from Germany, however this medieval scarf probably sprang from Bohemia. Women wore it e.g. in Silesia, Poland, and Germany. Kruseler was also used in England, where it was fetched by the wife of Richard II, near the end of 14th century. How does a kruseler look like? 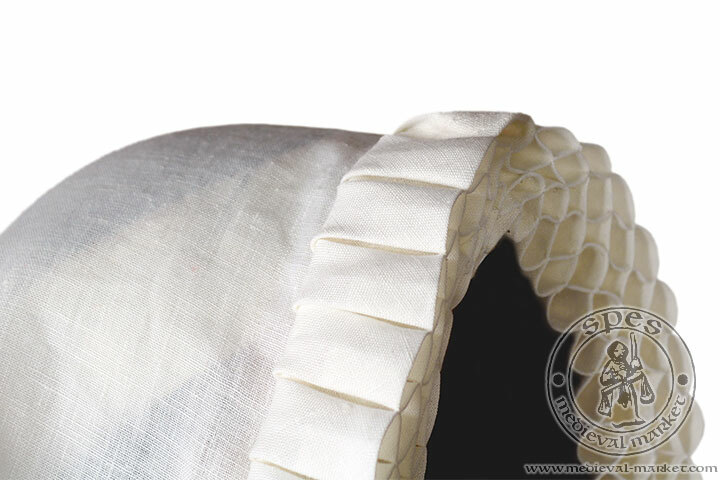 First kruselers had small rolls made of densely furrowed frills. This medieval headscarf bordered a face and hidden shoulders. As a court headscarf, it was worn by prosperous bachelorettes. 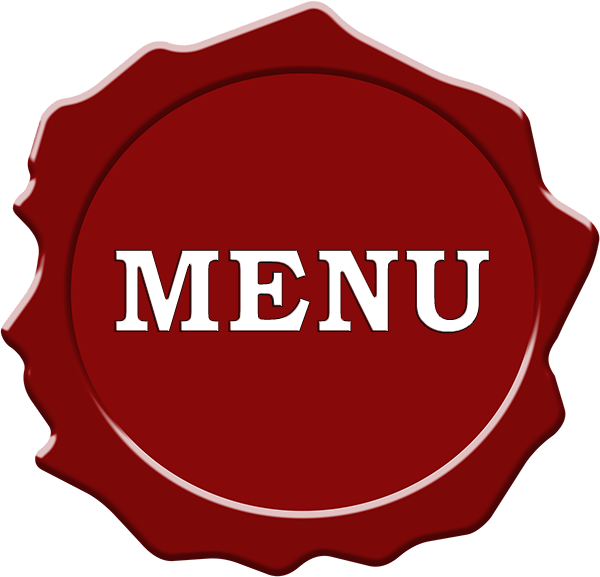 In historical sources it can be found on heads of saints. 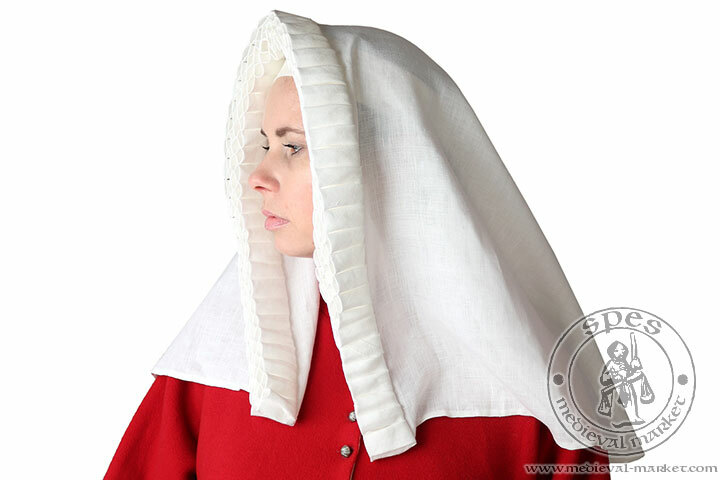 These women's headwear is known mainly thanks to the former paintings of Van Eyck brothers (e.g. Margaret van Eyck portrait from 1439). It can also be found in the works of Rogier van der Weyden (Maria Magdalena in “The Descent from the Cross” from 1435). 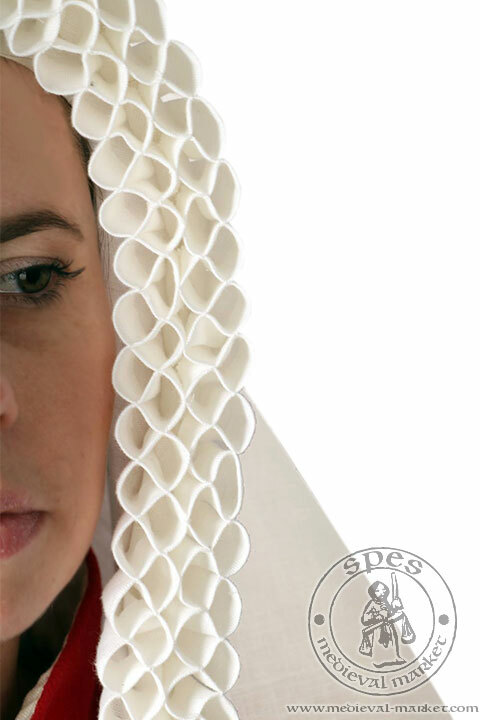 Headscarf is in a shape of semicircle made of white linen and finished with white frill bordering a face. It occludes the hair, neck and back of the neck. The bottom part of kruseler can be worn loosely in the back of the head, but also used as a scarf on the front and on shoulders.